Freshii Lead Nutritionist Andie Shapira is known to dish out advice on a daily basis to help Freshii’s loyal fan base navigate the healthy fast casual brand’s nutrition led menu. Shapira’s email address is shown at every Freshii restaurant inviting guests to connect with the fast-growing, fresh food on-the-go franchise, with over 350 restaurants in more than 15 countries. It’s this kind of up close and personal feedback that drives Freshii’s mission to change the way people eat. Shapira, who designs Freshii’s innovative menu, is forever testing and tasting the latest food trends, finding ways to bring them to guests, in an ever-evolving lineup of superfoods that have guests addicted. Freshii’s diverse menu covers seven customizable categories including bowls, burritos, salads, wraps, soups, smoothies, and juices. The brand’s approach to food stretches way beyond gluten-free, vegan, or low sodium-type dietary preferences. Shapira and her team focus on creating dishes from food sources with the “right types” of calories, fat, and carbohydrates to provide sustained energy and make the body feel good. Nutrition education is at play with every menu move. Whether it’s the brand’s latest LTO – a spicy chicken tortilla soup, stocked with brown rice, black beans, corn and kale, turmeric infused smoothies, or the wildly popular five-ingredient energii bites, recipes undergo rigorous trials and testing before being introduced to loyal guests. Since opening the first restaurant in 2005, Freshii has experienced explosive growth, redefining the fast-casual space along the way, with fresh, healthy fare that is convenient and affordable for everyone. 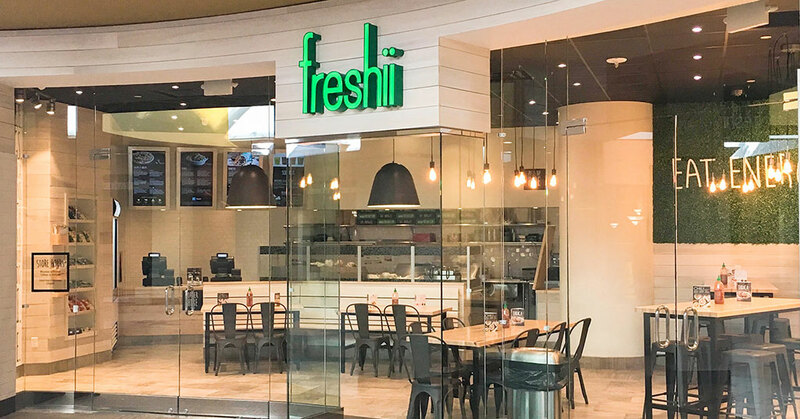 Freshii plans to have as many as 730 to 760 restaurants opened by the end of the 2019. More than just a portfolio of restaurants, Freshii is a health and wellness brand. Mission Green initiatives aim to reduce the brand's carbon footprint every chance the company gets, while sales from certain menu items provide food for fuel for more than just the guest. With every WE Feed menu item purchased, Freshii donates a meal to a child in need in the development communities overseas.